When it comes to skin and bath care items for my daughter, I try to buy products that are made with natural ingredients and work well. Most of the products I use are a direct result of recommendations from friends, family and online research. Since I'm always on the lookout for great skincare products for kids, I thought it would be a good idea to share a few of my favorites. My daughter doesn't have a ton of hair, yet she wakes up with a major case of bed head every morning. This spray by Honest quickly and gently detangles her hair and I absolutely love its sweet, orange vanilla scent. 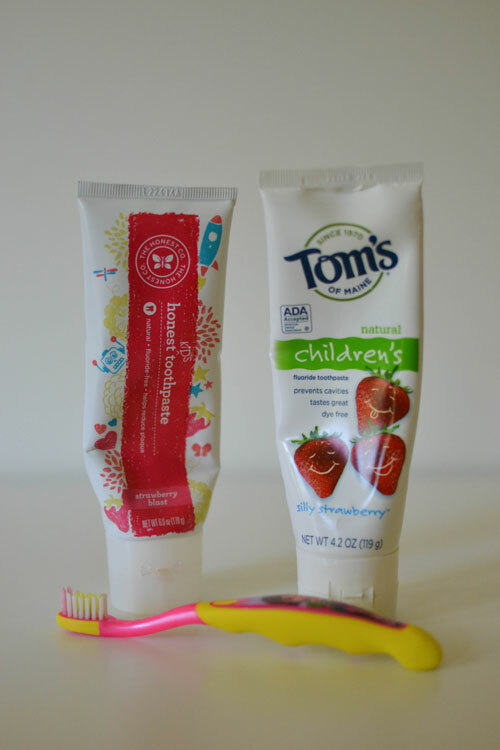 Up until a few months ago, brushing our daughter's teeth was a major struggle. After months and months of repetition, she's finally starting to understand that she has to brush her teeth everyday (especially if she wants ice cream!). She's even starting to brush on her own. When it comes to fluoride free toothpaste, we're big fans of Honest toothpaste. Per the advice of our daughter's dentist, we started brushing with fluoride toothpaste at night when she turned two years old. We really like Tom's of Maine in the Silly Strawberry flavor. Shockingly, our daughter loves to floss her teeth. Crazy, I know. 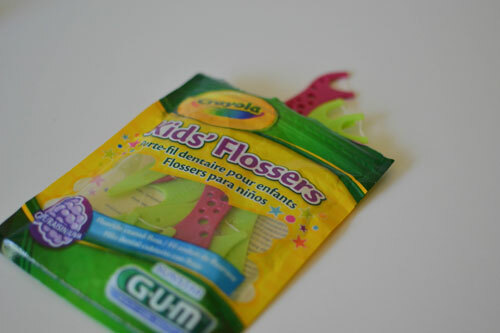 We use these flossers and really like them. They come in fun colors and are easy for tiny hands to hold. Not much to say other than I love these two products. Both are tear free, and are great for sensitive skin. The shampoo lathers well and the conditioner actually conditions. 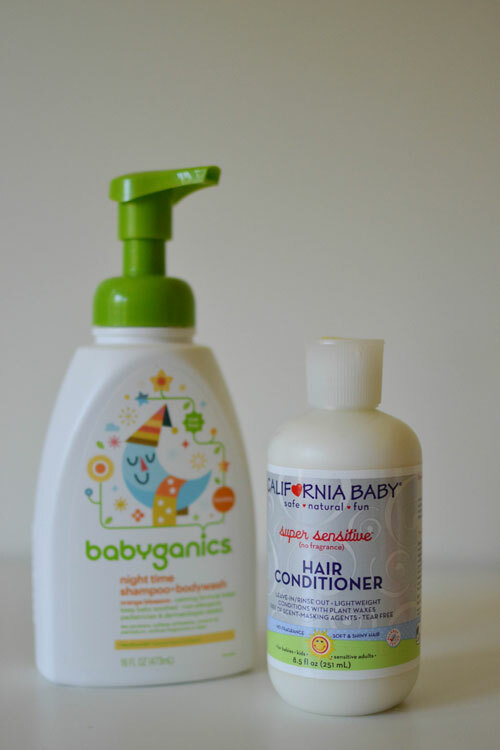 Plus, I'm a big fan of the pump on the Babyganics shampoo/body wash. It makes bath time so much easier. We've tried just about every brand of sunscreen out there. This one by Thinkbaby is at the top of my list. 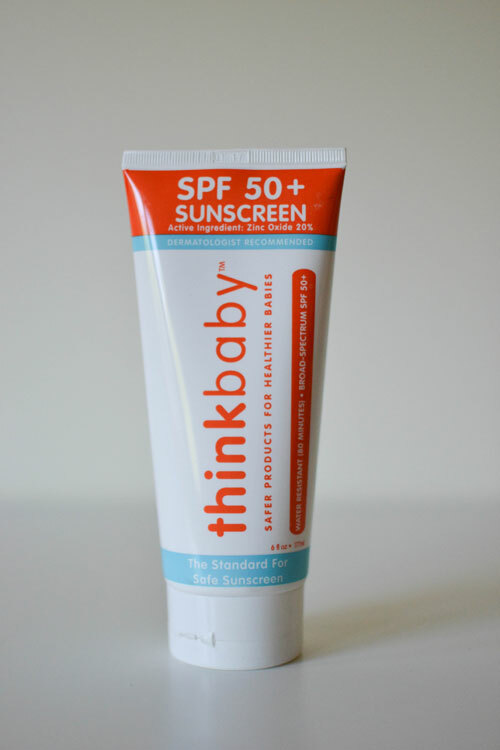 It's water resistant, rubs into the skin well and I love that it has SPF 50+. I absolutely love Costco. Yup, I do. What's not to love about a giant warehouse that has everything you could possibly need and then some. If there's ever a catastrophic disaster, I hope I'm in Costco when it happens. Have you tried their soft serve frozen yogurt?! That alone makes the cost of membership worthwhile. We've tried quite a few brands of baby wipes over the past two and a half years. In my opinion, Kirkland wipes are by far THE best. They're extra large, ultra soft and are great for sensitive skin. 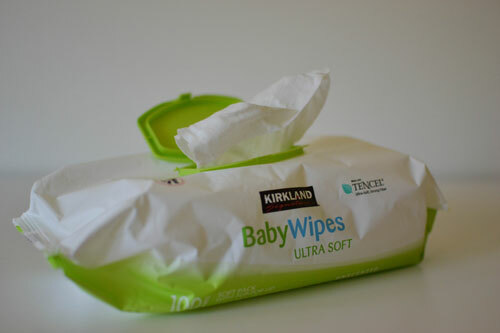 Seriously, if you haven't tried these baby wipes for your little one, you need to. I've always heard great things about Kirkland wipes and they definitely live up to their reputation. On a side note, we're currently working on potty training but that's an entirely new blog post. So tell me mamas...what are your favorite products?